Practice or Plinking? 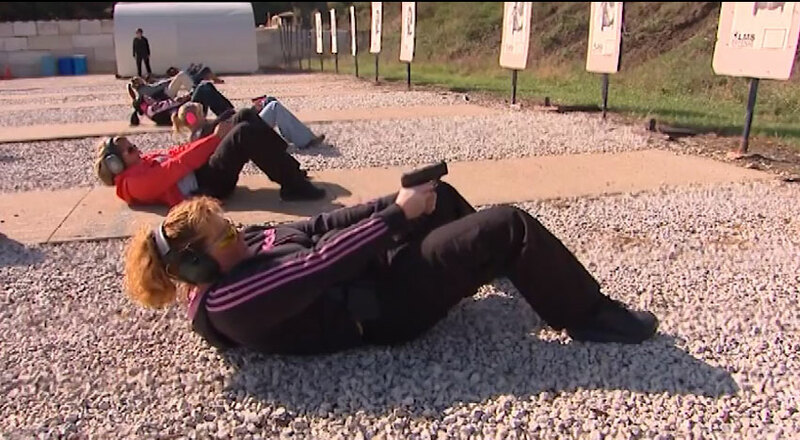 To get real benefit, gun practice must be structured. In almost every sport, there are those who seem to work hard and yet they never seem to get real results. When I was a younger man, I loved riding dirt bikes. It was challenging, I liked the mechanical aspect of tuning and maintaining my bike, and I enjoyed the company of the other guys who were into riding dirt. I had a very good motorcycle, excellent equipment, and I rode quite a lot, but I never was better than a mediocre rider. It was something I struggled with because I wanted to be good at it and I thought I was putting in enough effort that I should have been getting into pay dirt, but it simply never happened. I suspected then and still now that I’m simply not physically suited for motocross motorcycle racing. I’m not very coordinated. In 1976, I shot my first pistol match and I won my class. Later, I got into Metallic Silhouette shooting and I was the third AA class shooter in the state in that venue. In 1984, I shot my first High Power match with a real match M14 and won my class in the state championship. I’d found something I could do, and while I was never a national level threat, I achieved reasonable success. I did try action shooting and found that when speed became an important element in the match, I had trouble. Obviously, I have more talent at deliberate shooting than at fast shooting or racing motorcycles, but success is based on much more than talent. If you find someone who’s really successful at something and they tell you they don’t perform structured practice, they’re most likely a liar. Some can get by with less practice, but practice is prerequisite for real success in almost any endeavor. I learned to shoot a pistol in very short but very frequent practice sessions. I lived on NC 109 and almost every afternoon, I went out to the backyard with my handgun and a pair of 25 yard NRA Slow Fire pistol targets. I shot one-handed, single-action, and soon was able to shoot about 90% on those targets. I only shot two, ten shot, strings of fire. After 20 shots, I scored my targets and put up my gear for the day. During that time, I had friends who were also learning to shoot and they employed very different methods. Most didn’t have the luxury of shooting in their back yards, so they would go and shoot 200 rounds on a Saturday. They rarely used a standard target, and didn’t keep records of their progress. By the time we were shooting matches, I’d far exceeded the performance of most of my friends. Later, when I was shooting High Power Rifle, I noticed the same thing among rifle shooters. Some took it seriously, others, not so much, and those who shot small bore and air guns in the off season blasted past those with a less serious approach. The year I made Master, I carried a Fienwerkbau 300 match pellet rifle as I traveled on business and shot standing, sitting, and prone behind the parking lots at the Holiday Inns where I was staying. It was economical both financially and time-wise. All the same principles applied with the air rifle as did with my match rifle, and the dedication paid off. Not only did I practice the shooting part, I also kept my data book with the air rifle. In my data book, I marked the call of where I thought every shot went before confirming it in the spotting scope, and plotted the calls against the actual shots, just as I would in a National Championship. I used the same sling, shooting coat, scope and mat, and I structured my practices as closely as I could to actual High Power rifle competition. It paid off and I made Master classification and soon after earned my Distinguished Rifleman badge. There’s an old adage that to be good at action pistol shooting, you have to shoot till you’re knee deep in empty brass. There’s no doubt that trigger time helps, put time pulling the trigger isn’t all it takes to succeed. I have a friend who’s just turned 50. He took up USPSA and 3 Gun competition in June of 2013. 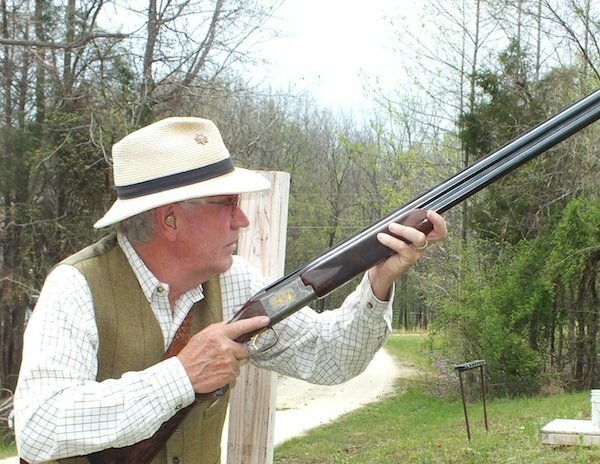 He isn’t in a financial position to shoot till he’s knee deep in brass, yet after just a little more than a year, he’s beating guys half his age who’ve been shooting five times longer. He’s accomplished this by practice, but not the kind of practice that leaves you surrounded by spent cases. Mike practices shooting, but he also practices every other aspect of the match. He practices his draw and magazine changes with the pistol, his transitional speed and accuracy with the rifle, and his loading skills with the shotgun. He documents elevation changes with the rifle for different distances, works on every possible shooting position or transition a match might possibly require, and spends time making sure his equipment is in top condition before any event. When he does live fire, he makes every shot of practice count. His sessions are heavy with transitions from gun to gun, magazine changes, and different positions. Instead of loading every magazine to the top and shooting till the gun’s empty, he shoots low round counts with the emphasis on quality training and analysis of results. The methodical methods have paid off and he regularly beats team supported shooters half his age in a run and gun sport. There’s no doubt that Mike is suited to shooting 3 Gun, but he’s figured out how to maximize the value of his time and expenditures to achieve success on a budget. Were he not as naturally talented at this kind of shooting, quality, structured practice would still pay dividends in better performance. This is possible in almost every shooting sport as well as achieving skills in defensive and tactical shooting as well as hunting. 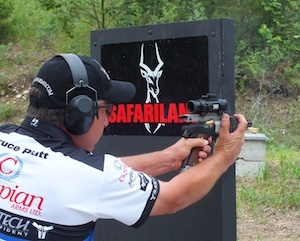 Quality, structured practice pays off and simply running ammunition through the gun is no substitute.